This seminal event celebrates trout and the passion they inspire around the world, bringing together a diverse audience of conservationists, scientists, anglers, writers, artists, etcetera, and the public at large. 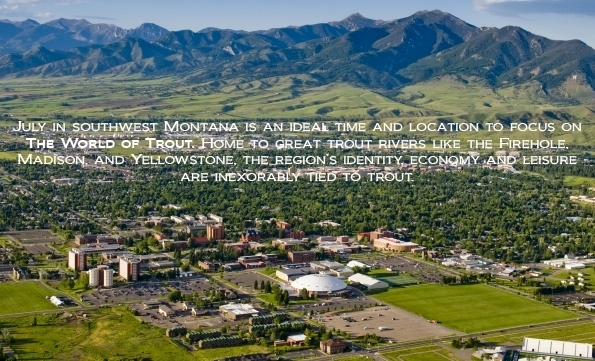 It aims at assembling an international body for structured lectures and discussions on the relationship between trout and mankind. At the same time the Congress is organized as a mere celebration, seeking to add lustre to it with art, music, literature, angling lore, and special events, both instructional and entertaining. At quite an early stage CTCF was informed about this Congress being organized as its focus is within CTCF’s very mission. Therefore, the purpose of going to Washington DC end of April was (at least) twofold as René Beaumont wished to meet the initiators and key organizers of this first International World Trout Congress: Jeff Kershner (US Department of the Interior; US Geological Survey) and Jack Williams (Trout Unlimited). Being there, no extensive discussion was needed for CTCF to immediately, fully, and wholeheartedly commit to this brilliant initiative. What’s more, René gladly accepted the invitation to join the Congress’ Steering Committee. During the talks the relationship with the international youth exchange program became more than obvious. Both events share common points of departure: international attention for the wild trout and ditto concern for their situation worldwide. Their missions are identical: engender mutual understanding between cultures and facilitate the transfer of knowledge, expertise, and contacts. And they have the same goals: establish one large, international conservation community, and have ‘troutmen by heart’ take the lead in that. You will receive an e-mail with a link to confirm your subscription. If you have not received this, please check your spambox. Do you have a heart for the trout too? Copyright © 2018 Continental Trout Conservation Fund. All rights reserved.